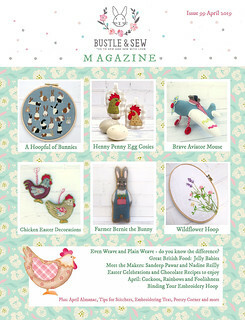 In the April issue of Bustle & Sew Magazine we were delighted to feature an interview with Nadine from Thread Meadows. Nadine Reilly is an Australian fibre artist who has always surrounded herself in the creative world, having studied fine arts in school and university. A principal theme in Nadine’s embroidery work is nature – she loves to embroider flora and fauna, often using vibrant colour schemes and experimenting with new materials and techniques so that each embroidery artwork is full of character. 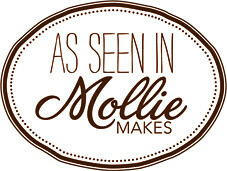 Do be sure to visit Nadine’s Etsy shop to see all of her gorgeous creations. You can also find her on Instagram too!